Introduction by Barbara, Baroness Young of Old Scone, chairman of the Woodland Trust. Every year the evidence base around the importance of woods and trees grows more compelling. There also seems to be a heightened awareness among politicians of why trees matter, but it too often feels that government policy lags behind the evidence base. We have gathered together a wide range of authors to contribute to a collection of essays, which we presented to policymakers at a reception at the Houses of Parliament in December 2017. All the essayists are united by a desire to see an increase in tree cover and good stewardship of our existing woodland heritage. Now we would like to share these essays with you, our supporters, and invite you to comment on them below. By Beccy Speight, chief executive of the Woodland Trust. It will come as no surprise that the Woodland Trust is passionate about woods and trees. It’s there in our vision – we want to see a UK rich in native woods and trees, for people and wildlife. So it’s really heartening that today, possibly more than ever before in our 45-year history, our voice is one among a growing number speaking up for woods and trees and all that they can deliver for people and nature. This collection of essays, from such a wide variety of contributors, says more than we ever can about the extent of a real and emerging appetite to recognise, embrace and champion trees, woods and forests across the UK. As we look to exit the EU there is clearly caution over the possible unintended consequences of removing long-established environmental protections. However, this feels countered by a sense of optimism that unravelling the labyrinthine Common Agricultural Policy (CAP) offers a genuine once in a generation opportunity to re-think and re-shape our approach to land use – an opportunity that it feels we must seize. For too long, our approach to woods and trees has been fragmented. 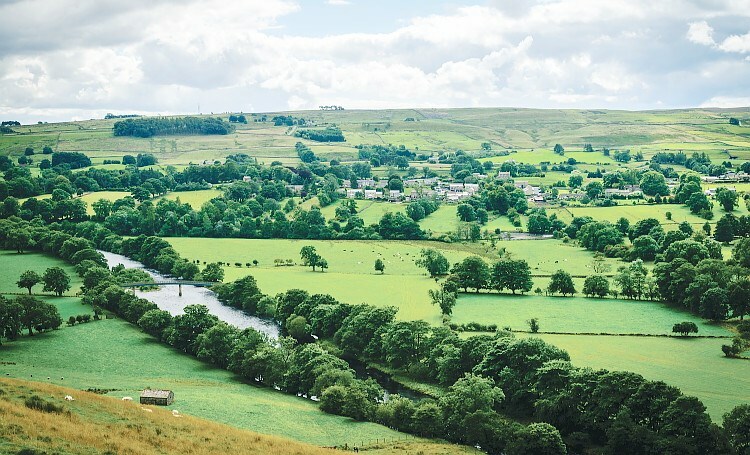 The operation of the CAP, and its complex regulatory and support framework, has effectively split the countryside away from our towns and cities, separated land managers in to farmers and non-farmers, and often excluded trees and woods from any prospect of being part of an integrated approach to land management. This at a time when there is more and more evidence that trees and woods can be a heavyweight contributor to solving the issues we face, from enhancing farming output to boosting environmental performance. The benefits of trees and woods can apply in town and country: protecting soils, improving air quality, storing carbon, supporting pollinators, helping natural flood management, providing shade and shelter for both people and livestock, offering green spaces for recreation, providing healthy living and attractive, robust and wildlife-friendly urban landscapes where people want to live, work and play. There is a strong case for public support for positive land management that delivers such an array of public benefits. Alongside this future positive approach, we must also respect the irreplaceable heritage of our remaining ancient woods and trees. This crucial component of our natural capital, among our most biodiverse habitats, is at risk today from piecemeal erosion through hundreds of small scale losses – from inappropriately sited development, pests and disease, and a lack of management. Of course, the character of the British countryside is shaped not only by its woods but also by the many millions of trees outside woodland – in hedgerows, on roadsides, along watercourses and in parkland and pasture, providing vital connections for wildlife. For many people, when travelling through the countryside, it is this canopy of trees across the landscape that is most valued and gives many landscapes their cherished character. It is these landscape features which are most under threat from tree disease. To achieve a more robust and resilient landscape, for people and for wildlife, we must protect and enhance the role of trees, woods and forests in ecosystems and as part of wider habitat networks – hanging on to what we have and using it as the start of a truly enriched countryside for all. I am a driven and dedicated individual who holds a BDes (Hons) in Graphic Design from Grays School of Art in Aberdeen and has a varied and impressive array of practical design experience A ambitious and self-motivated designer who offers an array of practical knowledge and experience, a successful academic career, and special aptitudes for creative, innovative design across numerous mediums I became accustomed to developing ideas in sketch form, to final delivery. This website has a few examples of my work for a number of my clients, If you want to work on a project together from an single idea please don't hesitate to contact me.